You might say that there are two schools of Barolo and Barbaresco, 'traditional' and 'modern.' 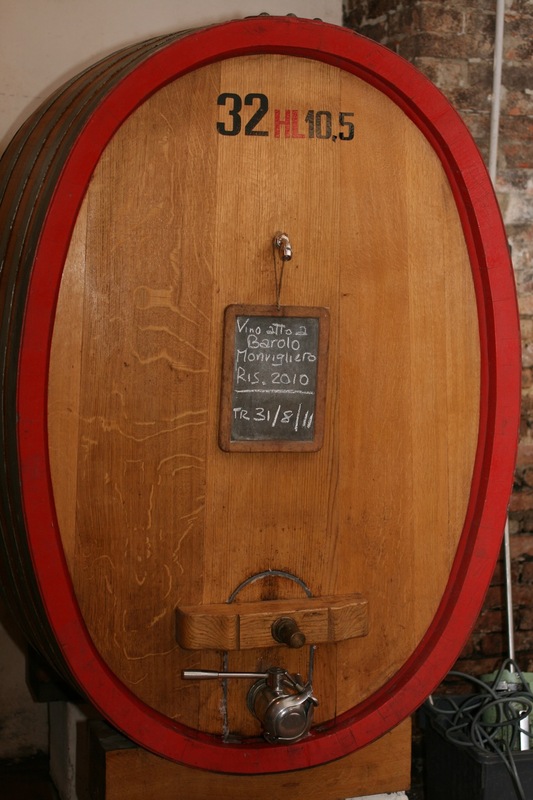 'Traditional' wines are made with long maceration and aged in larger barrels (made of Eastern European oak) for two years or more; the advantage of this winemaking method is that the combination of long maceration and long aging in large barrels gives an extraordinary complexity and a savory character that can't be created any other way. The disadvantage, especially in the past, is that some producers would use these large barrels for many years and wouldn't look after them very well, which can give the wine off aromas and flavors. 'Modern' wines are typically made using shorter macerations and small French oak barrels, at least partly (and sometimes entirely) new; the advantage of this method is that it creates wines with a glossy, easy-to-like personality that appeals to wine drinkers who are used to similarly-styled wines from Bordeaux and the New World; the disadvantage is that it creates wines that aren't very distinctive, individual or representative of their 'terroir.' 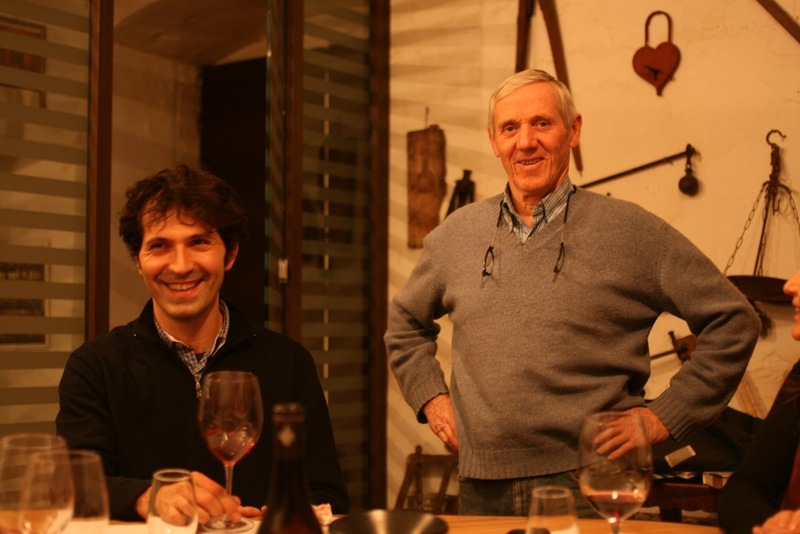 The ideal Barbaresco, then, would be cleanly, traditionally made, and aged in well-maintained larger barrels. Castello di Verduno makes just such wines: great vineyards, talented winemaking, large well-maintained barrels, long macerations, and more than the minimum time in wood. I am delighted to represent these wines. 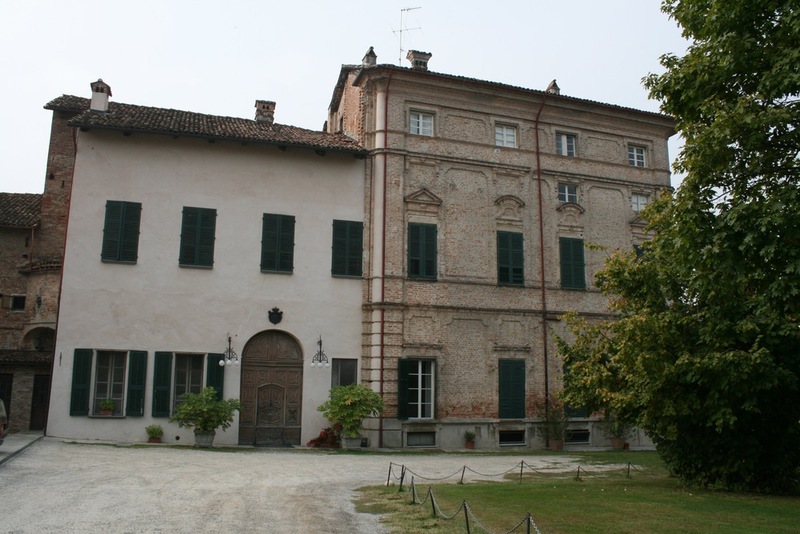 The Castello di Verduno, owned by Gabriella Burlotto and Franco Bianco, is a beautiful old building at the top of the village of Verduno, on the edge of the Barolo zone. The Castello di Verduno wine label unites two cellars, one under the castle in the Barolo zone and the other near the famous 'cru' Rabajà, in the Barbaresco area. Wines are produced in Barbaresco and bottled and stored in Verduno. 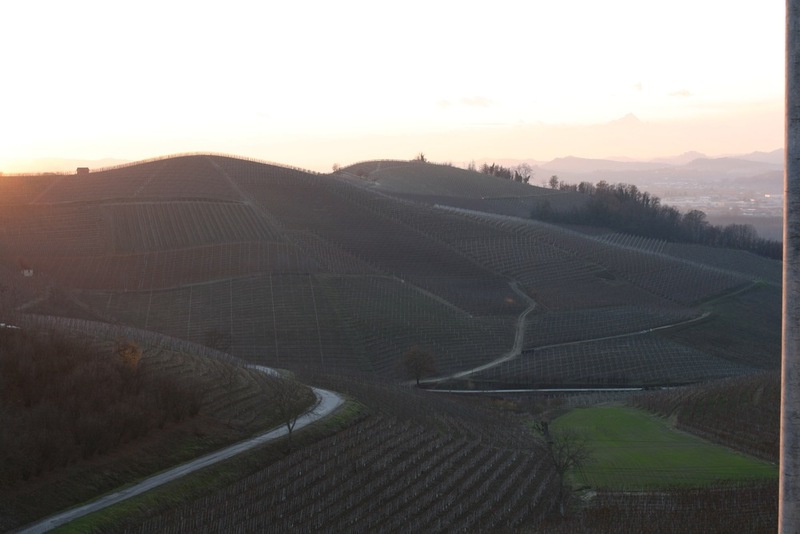 The vineyards owned by Verduno are the Barbaresco crus, Faset and Rabajà, the last being one of the best vineyards in Barbaresco, and the Barolo crus Monvigliero and Massara. All wines are vinified traditionally by Mario Andrion, the talented young enologist who took over the cellar in 2000. The estate also produces a small amount of delicious Langhe Nebbiolo, and an excellent example of the variety indigenous to Verduno, Pelaverga. Pelaverga is indigenous to the village of Verduno, it produces red wines that are light in color but savory and distinctive on the palate. Reminds me a lot of Grignolino, another geeky Piedmontese variety. This one is aged in stainless steel before bottling without filtration. The winery's website cannot be improved on for a description: 'Soft, though bright ruby red. Intense fragrant nose, showing clear spicy overtones of black pepper and nutmeg, as well as fruity sensations reminiscent of cherries in spirit and strawberries. Nicely-balanced, lingering dry flavour.' Great with salumi. I would drink this at cellar temperature. If you want a preview of Barbaresco without spending $70 or more, or if you just love good red lip-smacking red wine, try this Nebbiolo. All of the grapes come from the Barbaresco vineyards Faset and Rabajà, the vinification is shorter than that of the Barbaresco (7 days) and the wine is aged for 2 months in large casks and 6 months in stainless steel, no wood. Lamb chops? Roast chicken? I'm making myself hungry. Rabajà is one of the three or four most famous vineyards in Italy, and a mouthful of this beautifully made example will show you why. Beautiful medium red color; aroma of red fruits, oriental spice, tobacco, sandalwood, rose, et cetera et cetera; substantial mouth-filling texture but not bitter or harsh in the least, big but very elegant. Will age and improve for many years. One of the best wines of the appellation. Production: about 30 days on the skins, and almost 30 months in large wood. The '04 placed first in a tasting of the best Barbarescos of the vintage in The World of Fine Wine. Soil is Marne di Sant'Agata, composed of clay and sand with a high proportion of limestone. The vineyard is at 950 feet above sea level. Verduno is one of the less well-known villages in the Barolo zone, but it contains one of the very best vineyards in the whole appellation, Monvigliero. The soil here is called Marne di Sant'Agata, composed of clay and sand with a high proportion of limestone, and the vineyard forms an amphitheater facing south, at about 1000 feet above sea level. These qualities give the wine grown here a combination of power and finesse that is the equal of any Barolo, and the fully traditional winemaking technique espoused by Mario and Franco allows the innate quality of this vineyard to fully express itself in wines that are, as Mario says, 'elegant, perfumed and exceptionally long-lived'. The grapes are picked in October when fully ripe, and kept on the skins for a total of 30 days or more. The wine is then aged in botti for 30 months, and spends about the same amount of time in bottle before being released. Great wines are by definition hard to describe, but this combination of power and freshness, concentration and elegance, is extraordinary; the wine is a beautiful ruby color, the aromas include leather, red currants, wild strawberries, cinnamon, and sandalwood; on the palate these notes persist, fresh acidity giving unusual length. The tannins are harmonious, which makes the wine dangerously drinkable even now, but I can't wait to taste this in 10 or 15 years.